If you are like most people who long to bask in a refreshing backyard swimming pool during the warm season, but do not know if you will be able to use the pool during the cooler seasons? It is possible to utilize your swimming pool for more than 3 months in a year, with an inground pool that is suitable all year-round. After winter is gone and spring comes with new possibilities for your swimming pool landscape. The water may be still too cool to swim in, but you can turn your poolside landscape into a fragrant landscape by planting some blooming annuals and tropical plants and lounge in the beautiful landscape. Summer is the best season to go for a dip in your pool to enjoy some refreshing waters. 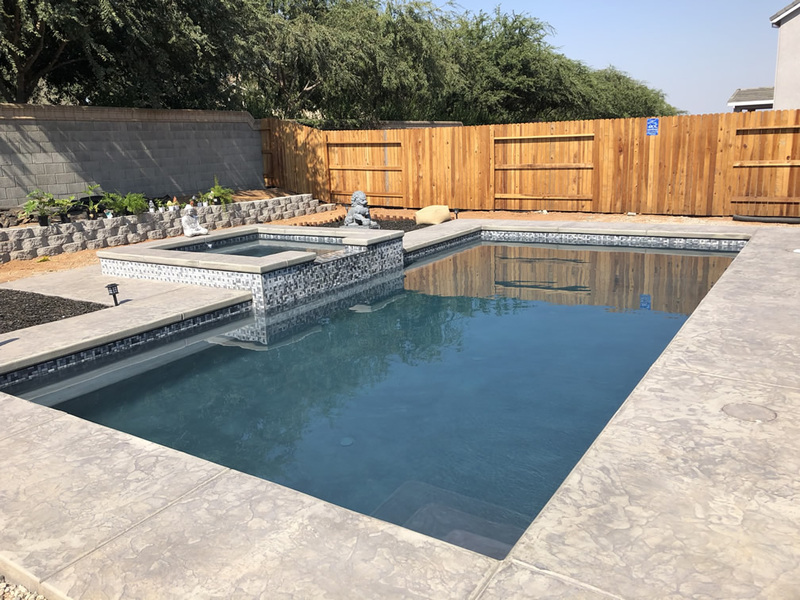 Whether you are taking some laps in the morning or having some backyard pool parties in the evening, you will love the luxurious time spent enjoying the waters of your own pool. During the fall, you can enjoy wonderful dips in the steamy spa. The therapeutic steam soothes your muscles after working hard raking the fallen leaves. For leaves not to enter your pool, get yourself a pool cover to keep it safe in the long autumn and winter months. Depending on where you live, the cool winter days might raise the need to have an outdoor fireplace. Gather with your friends and family on the outdoor fire pit while roasting some delicious marshmallows and drink some soothing cocoa as you watch the steam ascend from the delightful spa. Have a basket of comfortable throws within easy reach if it is freezing. Given that you want to install a backyard pool, there are multiple options for you to choose from. Gunite swimming pool is quite popular because it has high durability and can be designed in any shape. Rebar framework is used in these pools. These pools come in different shapes and sizes. Fiberglass pools are molded pools, which are installed in one piece. They can be heated to extend your swimming time and fiber optic lights are input in them to allow for night swimming. Vinyl liner pool comes with a sheet of vinyl placed between the water and swimming pool surface. Pools made of vinyl are flexible and less prone to cracking. You’ll never need to re-paint or re-plaster this kind of pool. There are endless design shapes and sizes to suit your backyard look. Optimum pools are perfect for uneven terrain. These pools can be installed in ground, semi-in ground or into a slope. An optimum pool is great for waterfront landscape. There’s a wide range of installation options for you to choose from.